Inns and Bed and Breakfasts - Are They Right for You? What's the Difference Between an Inn and Bed & Breakfast? just bed and breakfast if nothing is mentioned. Are B&Bs or Inns Right for My Kids? but don't expect too much peace and quiet and solitude. high-action kids then bed and breakfasts may not be ideal for your family. won't win you any brownie points with your host or the other guests. What is the Usual Check-in Time? can accommodate you arrivals outside those hours. inn, and expect your host to get out of bed and greet you smiling. Can You Negotiate Price at a B&B or Inn? to do is ask in a nice way. the mid-week business traveler, but can't get people in rooms at the weekends. and get a free travel report at his New England vacation site. Start Your Own Bed And Breakfast. 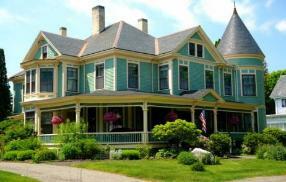 Complete Business Package To Help You Start And Operate Your Own Successful Bed And Breakfast Business! Click Here!